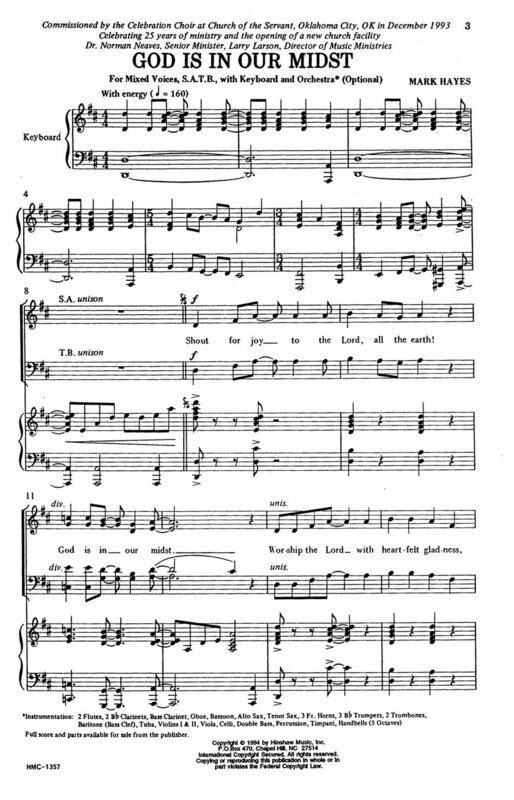 The text of this anthem draws from the Psalms and calls for everyone; young and old; to rejoice for “God is in our midst.” Stylistically; this anthem could be deemed contemporary due to its syncopated rhythms; but it is still suitable for mainline and evangelical churches. 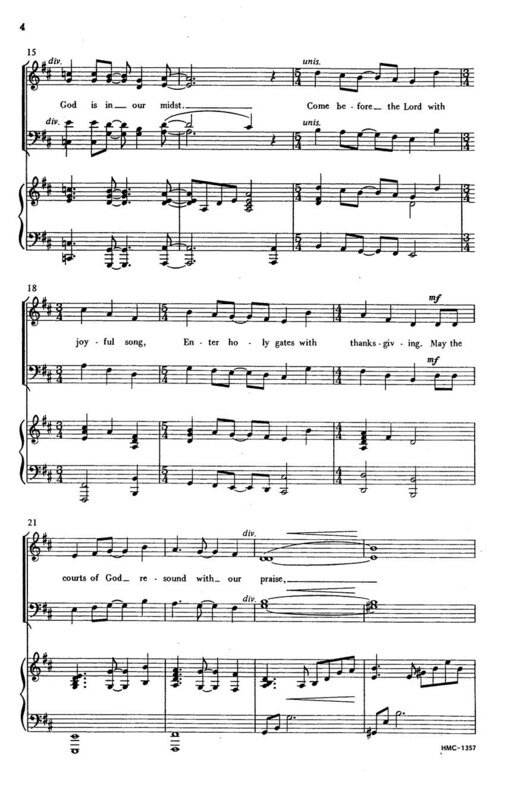 This through-composed anthem has an extended choral speaking section with rhythmic clapping and mixed meters. Although there is a quieter and slower middle section; the anthem starts off with great energy that does not stop until the end. It will definitely elicit an enthusiastic response! Full orchestration is available; including handbells. Difficulty level: challenging.